From West Yellowstone it's about 30 miles to the Upper Geyser Basin, Old Faithful and the visitor center. The road follows the Madison River east and the Firehole River south. That's the route we took on our rented snowmobiles we got in West Yellowstone. 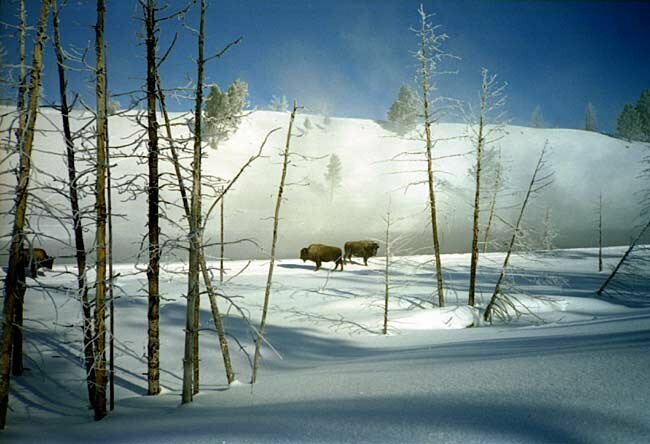 These buffalo were standing along the steamy Firehole River south of Madison Junction.